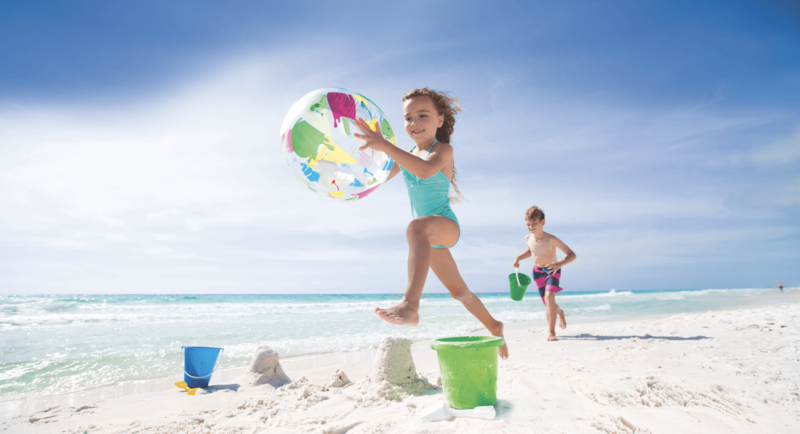 Families vacationing at Hilton Sandestin Beach Golf Resort & Spa have all their needs met – from kid-friendly accommodations - including the popular bunk beds in the Junior Deluxe Suites, and in-room cribs - to dining options the kids love, and a multitude of activities for all ages. Whatever you need – or forgot – we’ve got the entire family covered!Hilton Sandestin Beach Golf Resort & Spa is one of the best family resorts in Florida, with amenities to suit children of all ages. Our beautiful and functional accommodations allow families to spend time together in a spacious setting that’s comfortable for all. Conveniently located on the sugar-white sands of Northwest Florida’s Gulf Coast, our resort also offers plenty of things to do at the beach with kids, teens, or adults. Traveling with young children can be tough. 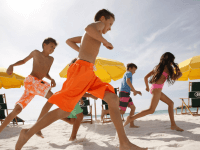 If you’re looking for a family resort in Florida that caters to those with children under five years old (with kid-friendly amenities and access to safe kids beach games and toys) Hilton Sandestin Beach is a perfect location for you. Below, we’ve created a personalized travel itinerary for families traveling with youngsters. If you’re looking for things to do at the beach with kids, come splash around in the gentle waves or play in the sugar-white sands on our beautiful beach. Or take advantage of our outdoor toddler pool, which is open from 7am to 5pm daily. If the sun gets a bit too intense, we’ll happily reserve beach umbrellas or a poolside cabana for your and your family to give your little ones some shade to play in. For an afternoon snack, check out the grab-and-go items at Picnix Poolside Market, a convenient poolside dining option. When nap time rolls around, remember that our resort offers cribs and pack-and-plays with bedding. Or, if your little one is up to it, they can nap in their own bunk bed, one of the child-friendly amenities offered in all of our Emerald Tower rooms. After breakfast at Sandcastles Restaurant (included in our Family Fun Package), head to Destin Commons for some family friendly activities like a stroll through the open-air shopping center, or a quick splash in the outdoor, interactive fountain. Kids will also enjoy the Pirate's Cove soft play area — a safe spot to let your little one run around and explore. Return to the resort and enjoy some you time in the afternoon — speak to our concierge to arrange on-site childcare services so that you and your partner can enjoy a couples massage at Serenity by the sea Spa. Then, regroup for dinner together and retreat to your suite for a relaxing bedtime tuck-in. Head to Topsail Hill Preserve State Park for a family picnic on Santa Rosa Beach. Or, take a family shopping trip at nearby Silver Sands Premium Outlets. 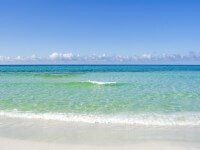 Then, start planning your next family vacation to Hilton Sandestin Beach Golf Resort & Spa.